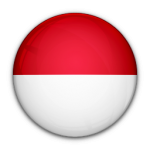 Bahasa Indonesia, which is based on Malay trade dialect, is the national language of the Republic of Indonesia. An inability to speak the language can cut you off from the mainstream of the society and so it is highly essential to have working knowledge of the national language of Indonesia while staying there. Indonesians make friends with foreigners who wish and try to learn the language. Bahasa became the national language since the independence of Indonesia. The language is written in Latin script. The evolution of the language is mainly seen in some spellings. However, some of the old spellings are still used in proper nouns. Along with other loanwords there are some from Sanskrit also which is because of the contact with India since ancient times.